Each program selected their own topic based on their unique student population. 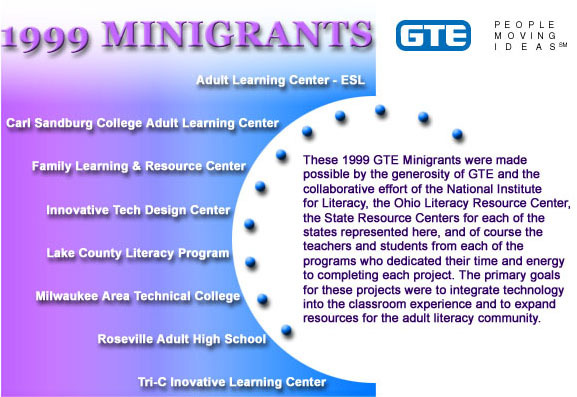 Every effort was made to include the full spectrum of adult basic education students from GED to ABE, urban to rural and other special populations. Each program was encouraged to expand upon their current use of technology or to venture into unexplored territory. We think these projects provide excellent examples of how adult basic education programs can use technology and how we can all share our experience and expertise with our colleagues. A bit about navigating this site.